We just love sharing giveaways that everyone loves, and who doesn’t love a great Coach purse? Enter to win your pick from Jen’s collection. This giveaway is hosted and sponsored by us (Jenns Blah Blah Blog), and co­hosted by Just Free Stuff, Adventures of country divas, Pink Ninja Media, Pink Ninja Blogger, Everything Mommyhood, Barefoot in Bluejeans, Mama Mission, Thrifty 4NSIC Gal, Bay Area Mommy, Budget Earth, Powered By Mom and all the other amazing bloggers who are helping promote this giveaway! Every single month we team up for this awesome giveaway for our readers! We want to say thank you for everything you do for us, every single day! We wouldn’t be able to have these great blogs if we didn’t have our amazing readership, the heart of it all. NOW, WHO’S READY FOR THE GIVEAWAY! Rather than choosing the bag for you, we want you to choose the one that fits you and your style! WINNER PICKS from Jenns Blah Blah Blogs collection of Coach handbags. Once winner has been confirmed Jenn will email them images of all the handbag she has on hand. All Coach handbags are brand new still in packaging some are in the included images, but there are also several others to choose from! One very lucky person will win their choice of handbag from Jenns Blah Blah Blog’s collection. 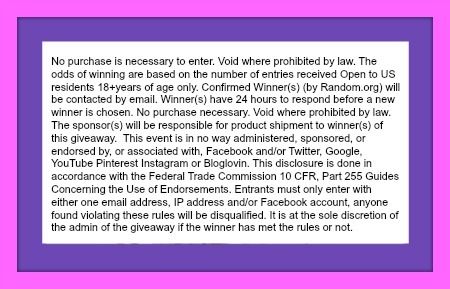 The giveaway will run until 7/29/2015 at 11:59pm EST, is open worldwide, must be 18 + to enter, and use the Giveaway Tools widget below. Now how is ready for their chance at a Coach Handbag? ENTER NOW! I would love to win a COUCH bag. The couch bags are very nice!! !